Finally able to get the Land Rover and Minivan I've been searching for for years. Also good to see that map_restaurant is there, I've always wondered what that one was like. Please, use this roster too. There are some add-ons you may not have. Before I stopped playing Blockland I never deleted my add-on folder. Placed it on a flash drive and forgotten about it. I'm not sure if these work or don't work, so if you want to go through it you can. There is also a weird post that has some add-ons that I've never seen and "160 MB of mp3s". I placed the folder + .rar in there. To warn you, it may take some time to load if you view the folder. hey look! thas me right there! thank you so much! thanks to you and some other people, the list has increased by another 148 add-ons. 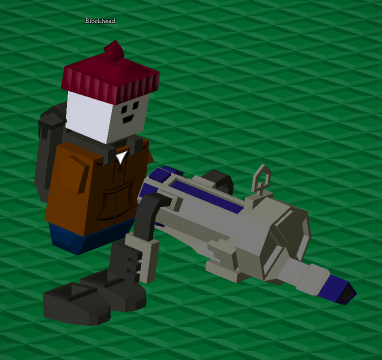 i searched "BLP" to see if my radical awesome print was there (it wasn't) and found "Weapon_BLP", from 2011 that has the weapon "LaserHulk" that has no sound or icon and shoots a green beam.. thing that seems to almost instantly kill. What in the absolute forget is this thing and why is it named BLP? y'all thought this was over? the archive now has 6k add-ons total! !